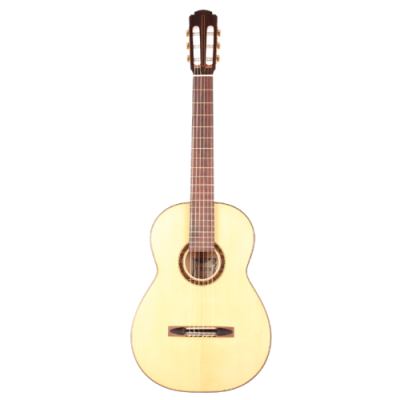 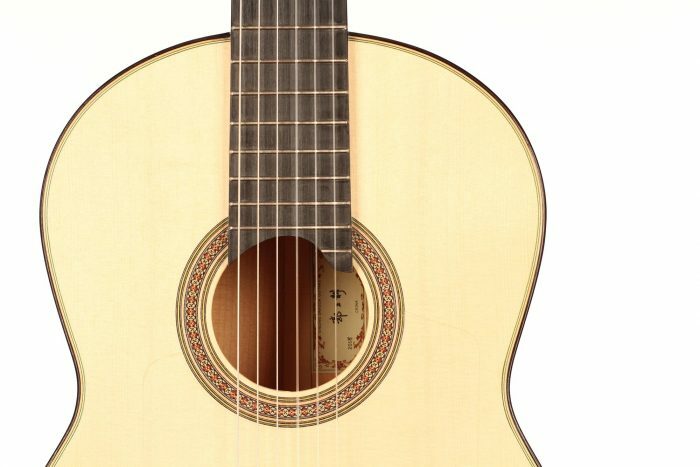 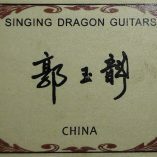 This modern flamenco guitar was hand made by the renowned Chinese luthier Yulong Guo. 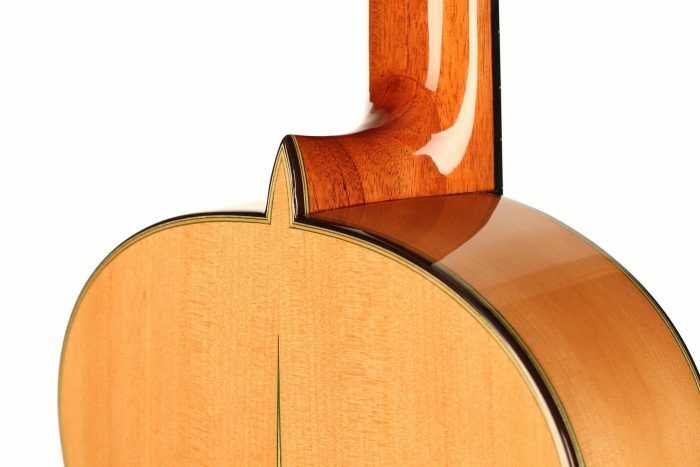 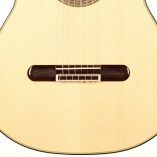 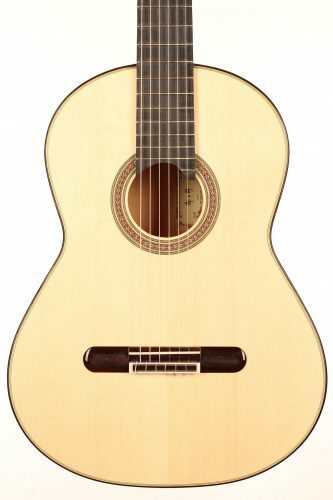 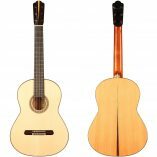 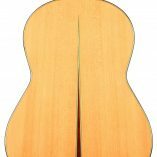 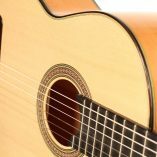 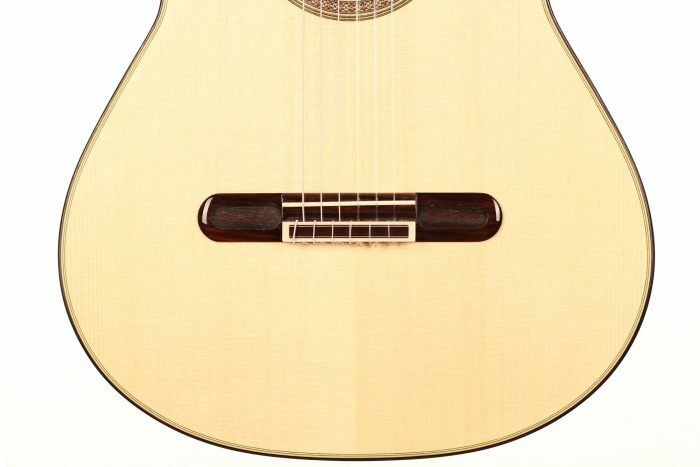 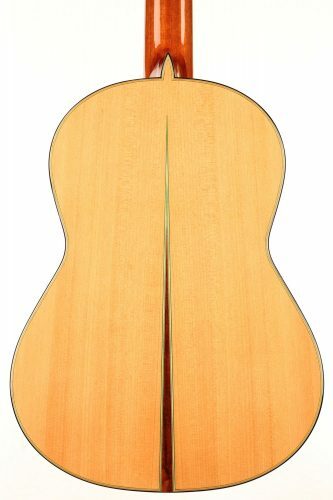 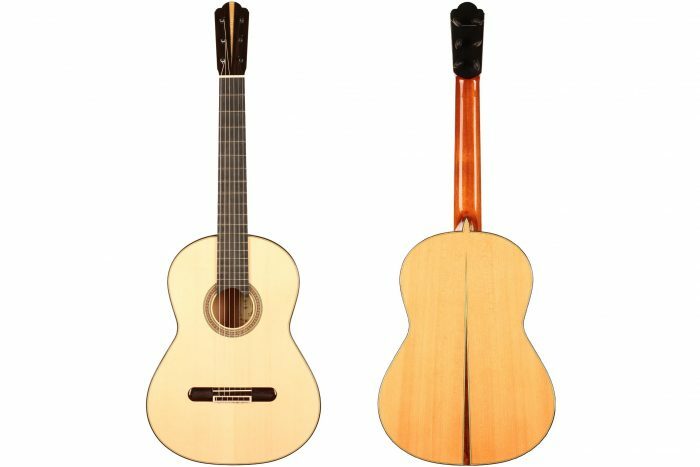 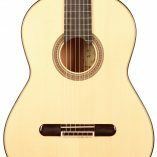 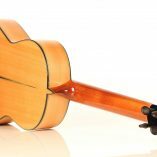 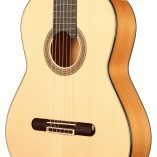 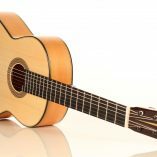 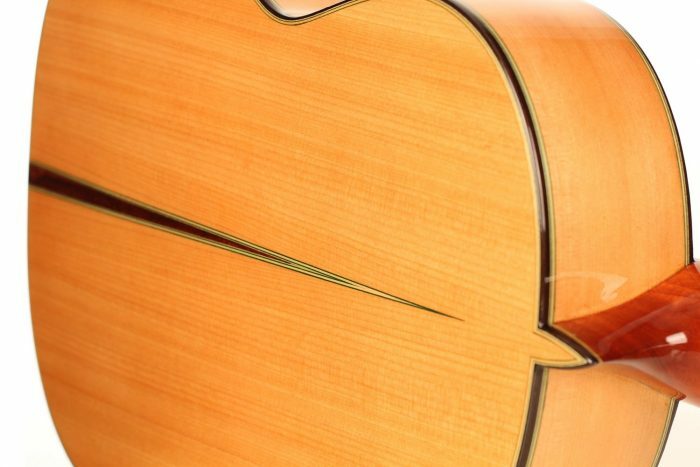 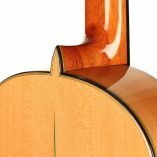 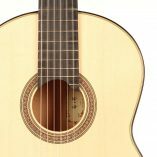 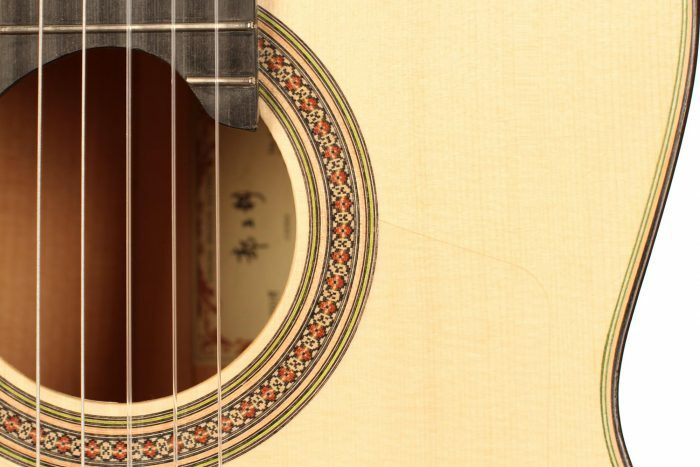 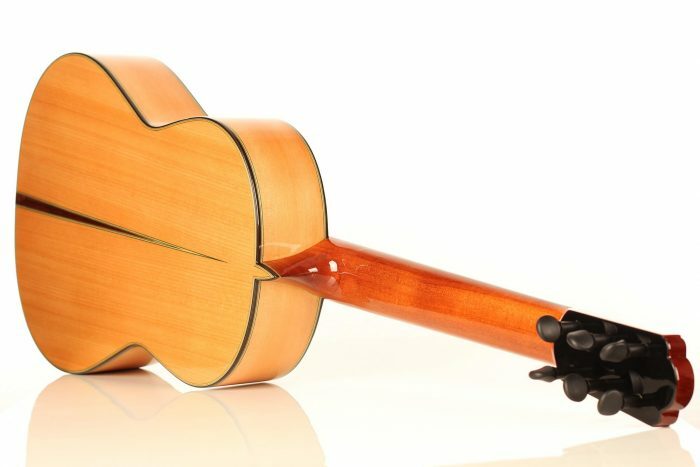 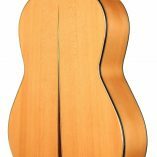 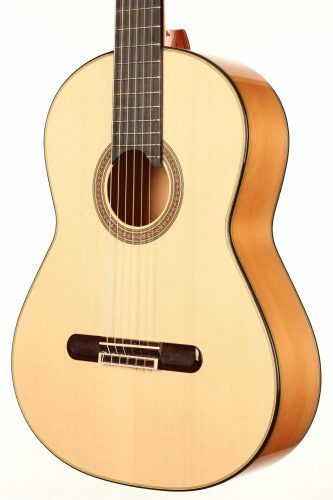 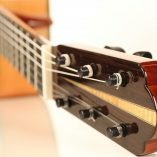 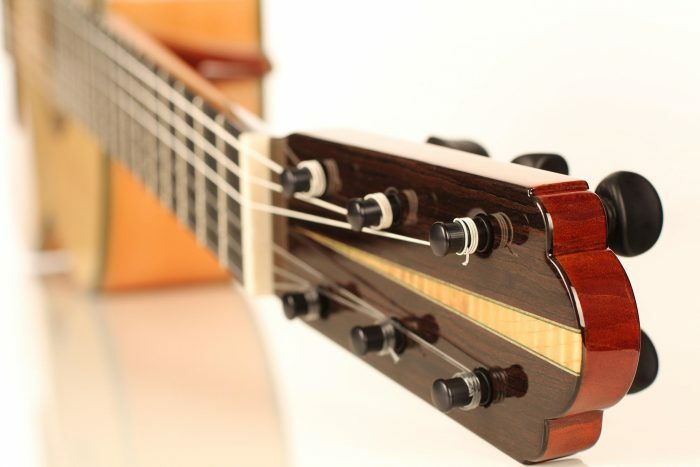 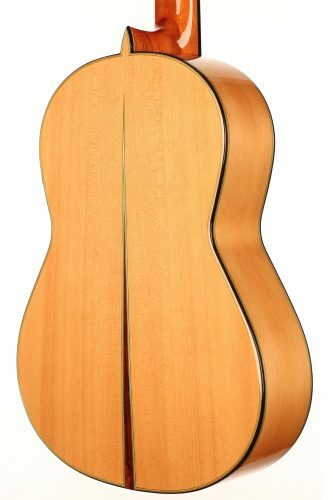 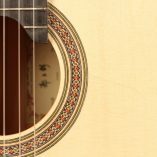 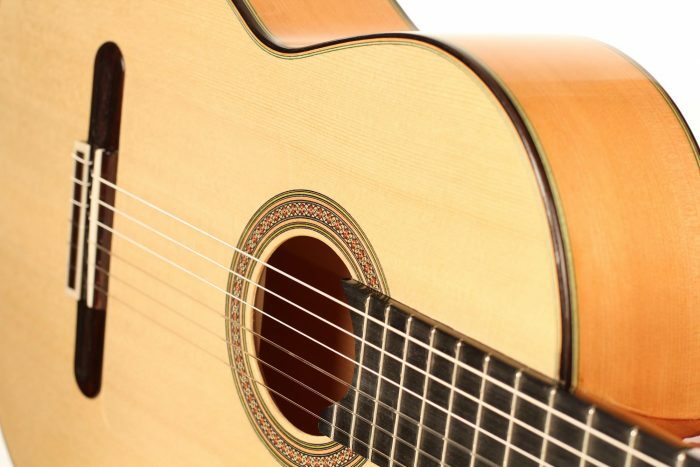 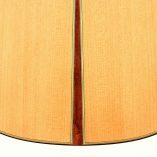 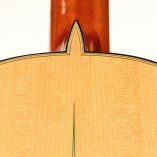 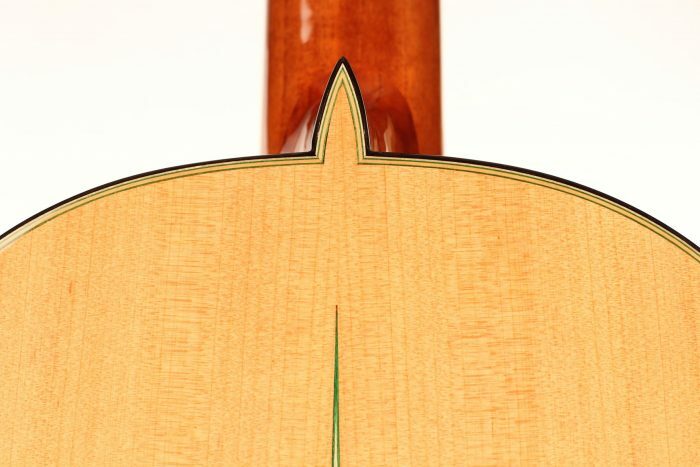 It is a very special flamenco instrument as the modern technology of the double top was implemented in the construction under the system of a partly hollow spruce top, which is reinforced by light spruce and cedar fans. 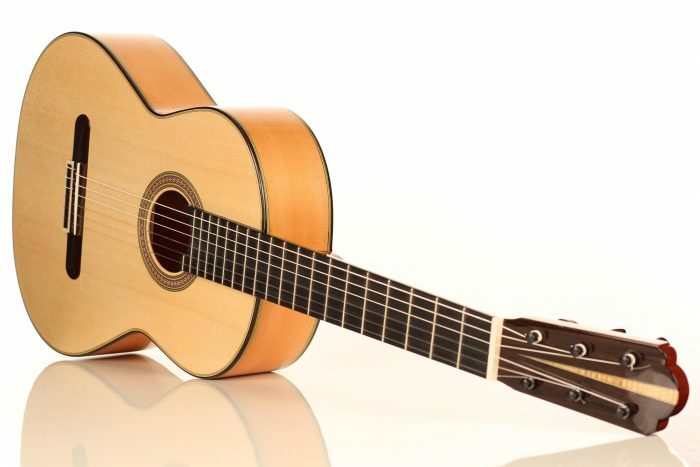 It has a huge volume and is incredibly comfortable to play. 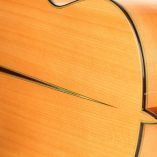 The immediate response and the direct incisive attack of the tones show the true flamenco character of this instrument. 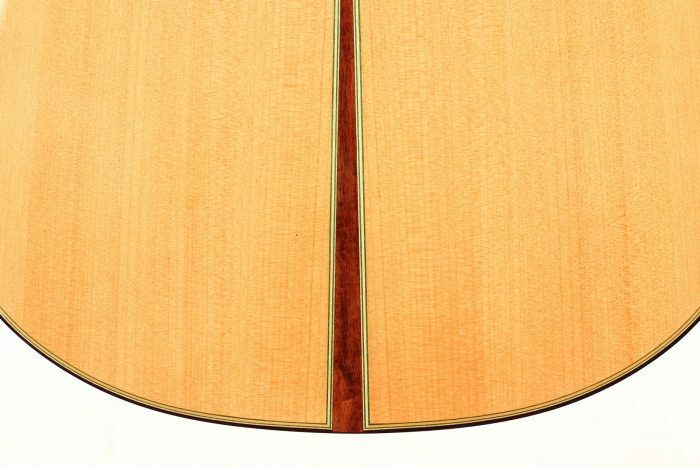 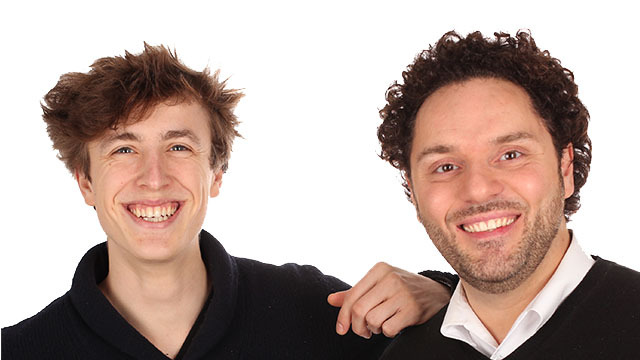 The deep basses have a very impressive warmth and give a great body to melodic bass lines.